The GHS golf teams took on the tournament field from five other schools, the extremely fast greens, and wind gusts of up to 40 mph. The boys battled on day 2 and were determined to prove that they could play better than they did the 1st round as they improved 55 strokes. They should be proud of their efforts on day two. The Lady Leopards golf team are Regional Tournament bound for the 1st time in several years. The Lady Leopards stretched a 25 stroke day 1 lead over Anna to a 39 stroke margin of victory to take 2nd place in the District. Medalist CarolAnne Condie shot 15 strokes lower on day 2 to post her lowest round (137) of the season. 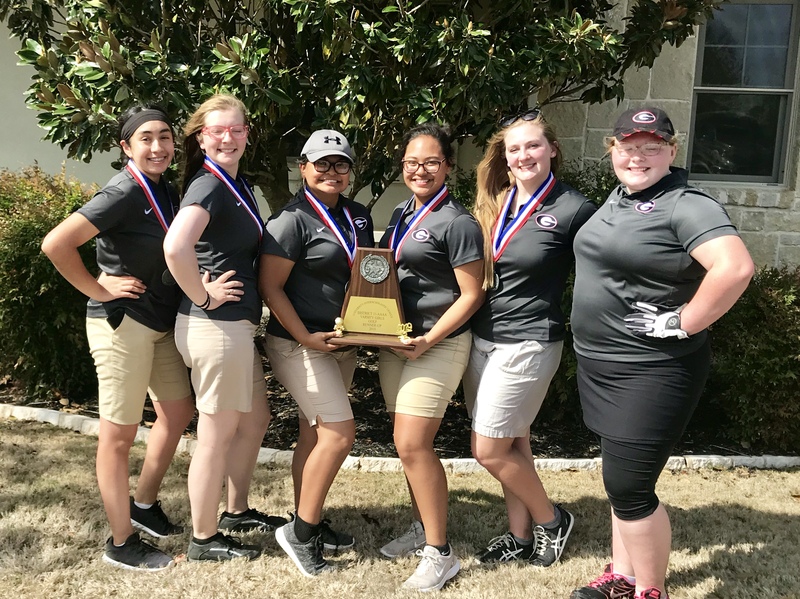 The team of five Lady Leopards (Madison Stephens, Candance Stephens, Kacie Magallanes, Brittney Magallanes, and Kimberly Gomez) will travel to Canton Texas for two rounds of regional action at Van Zandt Country Club on April 24th and 25th.